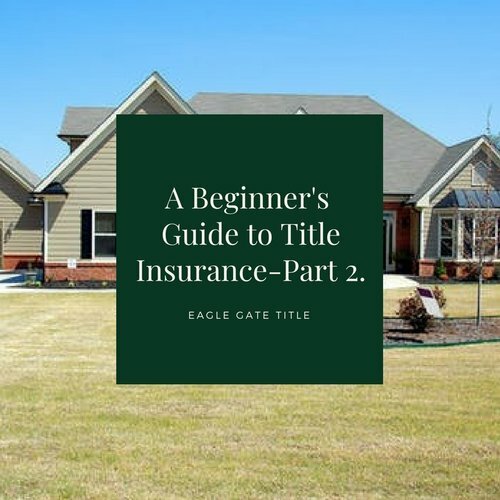 This article is a continuation of the Saint George UT title insurance post A Beginner’s Guide to Title Insurance – Part 2. In Part 1 we established the nature and importance of Saint George UT title insurance. Now we’ll discuss how to go about acquiring it and the process behind being covered. Disclaimer: Remember that no matter what, you need to consult a representative from Eagle Gate Title to make sure you understand what is and isn’t covered, regardless of what’s said here, what is said on sites, or what friends and family may tell you. Policies sometimes change and there are so many different circumstances that yield different types of coverage. Primarily, a title search needs to performed before a policy can be issued. A title search assures that there are no problems with the title in question. In the scenario where title issues are found, the responsibility to take care of them falls on the seller. And in the very unlikely scenario where the seller decides that they won’t clear the title, the Saint George UT title insurance company will be unable to provide coverage on the title of their new property. Again, this is an unlikely scenario, but it still bears mentioning here. More often than not, the title search will come back positive at which point the Saint George UT title insurance company will issue the buyer a policy. This policy will come with three assurances. The first is that the title search was performed satisfactorily. 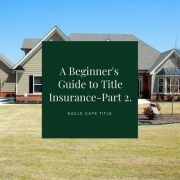 The second is that the new title insurance policy has accounted for any problems that may have arisen during the title search. And the third is that the policy will cover the buyer in the event of any future mishaps as laid out in the document. Also remember that Saint George UT title insurance policies do not cover any claim that is greater than the home’s purchase price. Depending on what state the property that needs title insurance is in, the nature of coverage can differ. Even different counties and certainly different insurance companies themselves differ in what is and isn’t covered and at what amount. However, almost all Saint George UT title insurance companies cover the following: documents that weren’t filed properly, unknown heirs, forged documents, other issues overlooked by a title search. There are additional circumstances involving a property title that can come up and may not be covered by a standard Saint George UT title insurance policy. Sometimes policy extensions can be purchased to include some of the following scenarios, but here are some things that are usually not covered under a standard policy: post-policy claims, environmental protection laws, zoning problems, boundary line disputes, issues off public record. Be sure to go over fine printand ask questions before signing off on your title insurance policy so you exactly what is and isn’t covered. In Utah, the seller is generally responsible for paying the owner’s policy and the buyer is generally responsible for paying the lender’s policy. But in other states, these responsibilities can vary. Georgia, for example, requires both insurance’s to be paid for my the seller. In Illinois, the buyer (rather than the seller) pays for lender’s insurance. Different forms of Insurance costs are also affected by location. Title insurance regulation varies depending on what state the property is in. Contact Eagle Gate Title for cost information regarding Saint George UT title insurance policies. We conclude by reminding readers that Saint George UT title insurance protects homeowners not from potential, future problems but rather from past problems that have taken place before the policy was purchased. For instance, in the event that a self-declared property heir files a suit after the Saint George UT title insurance policy was purchased, no coverage will be provided. But if, during the title search, a lawsuit by an heir was overlooked that existed prior to the purchase of the insurance policy, coverage will be provided.